Google / Yahoo / Bing? Or are they finding your competitors? Ask me how I can help you gain an advantage by leveraging Online Advertising. 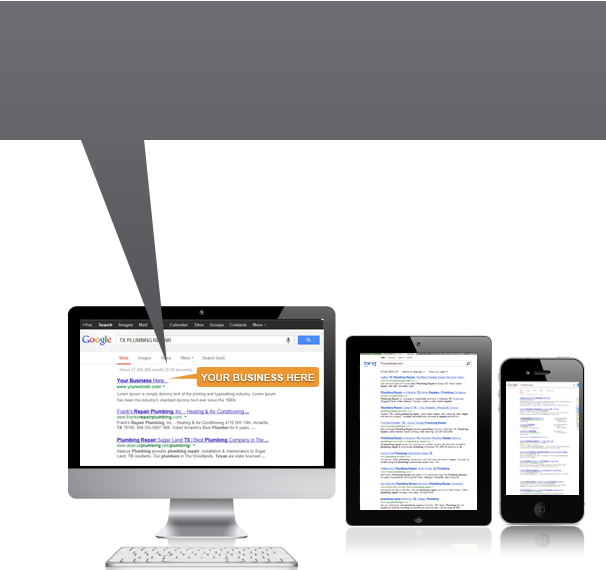 Our PPC management services can get your business noticed. Click to find out more! We offer our clients custom reports in a variety of formats to track your ROI. With our call tracking services, you can find out exactly where your PPC ads are paying off. We Don't Brag... But Our Customers Do. I can actually tell that my marketing dollars are being spent in the most effective way. This is a great company; they will walk you thru everything and are worth every penny! Thanks Jason. I have done several different Internet marketing campaigns, and your strategy is hands down the best. Our team of internet marketing experts is available to help your business connect with new customers, experience greater success and build upon your brand power. We provide customized Pay-Per-Click management services to businesses of all sizes, and we have the resources and experience to get your company noticed online. Our internet marketing agency can get your business in front of targeted customers who are already interested in what you have to offer – all you have to do is get them to find you. At Link Right Media, that’s what we do through PPC management and other digital strategies. Our internet marketing agency offers individualized solutions that are unique to your business. We focus on measurable results, and we offer custom reporting, call tracking and call recording so that you can see exactly where our efforts are paying off. While you have a number of choices for internet marketing, no one can beat the level of customer service offered by Link Right Media. We know that we can only provide exceptional solutions by hiring the best people, so we ensure that all of our professionals are certified experts who have a passion for helping our customers. We handle everything for you so that you can concentrate on running your business more efficiently. Your success is our #1 focus, and we’ll work with you to find a customized strategy to get your business noticed! Contact Link Right Media at 817-462-5422 to learn how our certified Pay-Per-Click agency can help your business grow. Whether you count on us for PPC or any of the other services we provide, you can trust that we care about the success of your company.